Spring officially begins in a few days! I’m sure you’re ready to get outside and start making memories with your family. 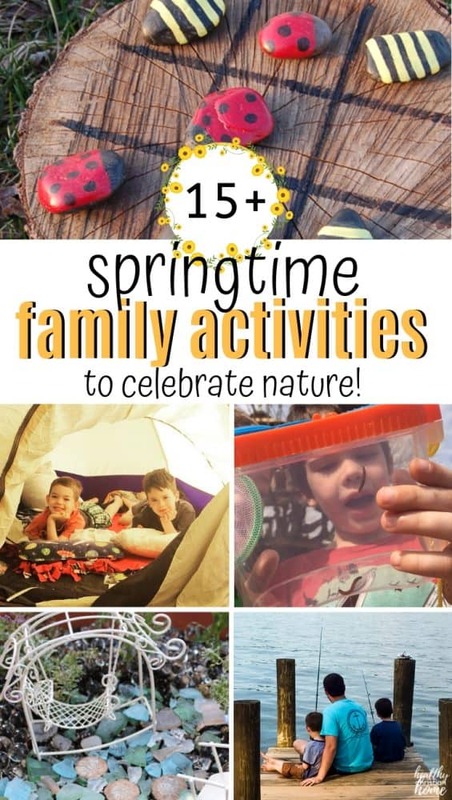 Look no further for ideas – we’ve got over 15 of the best spring activities for families, from games to crafts to nature-inspired moments! Yesterday I caught my first fish on my 32nd birthday. And for the first time, the wind wasn’t freezing on the lake. Spring is in the air! 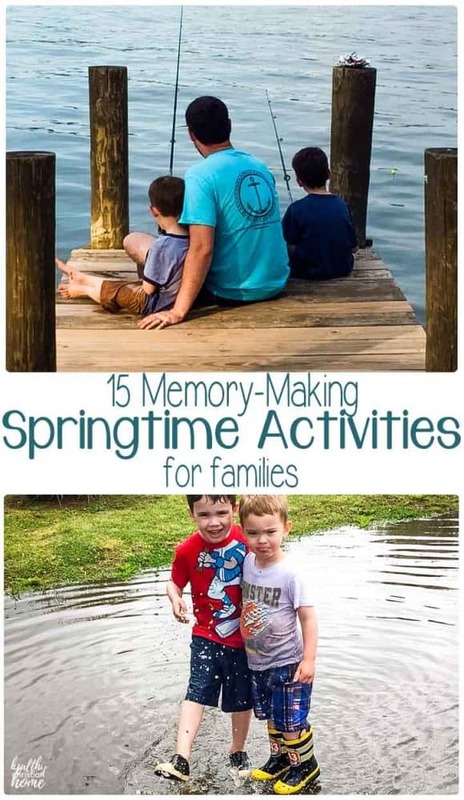 Which got me excited about all the springtime activities in store for our family. What’s even better is that these ideas don’t cost much at all! But the memories you’ll create are priceless. Related post: How Going Outside More Makes You Healthier! Your kids will love all the ideas listed below. Spending quality time with you as a parent is the best way to celebrate any season. Be sure to pin this post so you can remember to check them off the list, one by one! 1. Flower shop at a local nursery. Let your kids accompany you to the nursery to pick out some new spring blooms. Let them choose 1-2 of their favorites to add to your garden, and don’t forget to plant and tend them together! 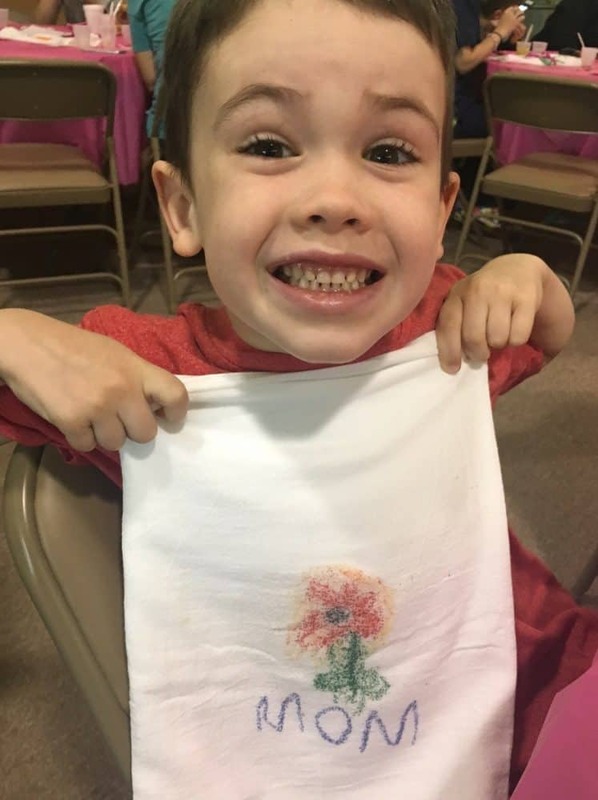 My son loved choosing and planting black-eyed susans so much, he drew one on my special mother’s day tea towel. If you don’t have space for your own flower garden, try these adorable wildflower bombs from Craft Invaders. You can plant them in any neglected corner of your neighborhood that needs some love! 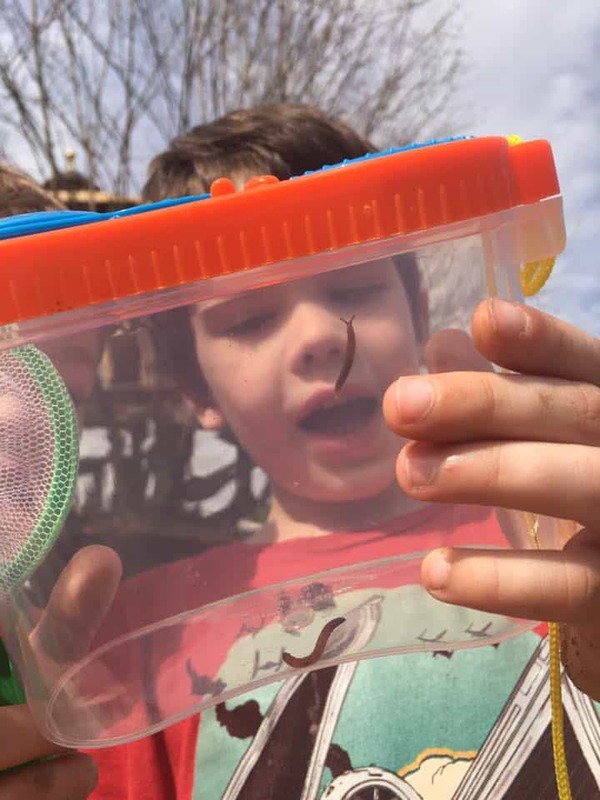 Find a local farm and observe the frenzy of spring activity – planting, bee tending, barnyard babies, or strawberry picking might be in your area! 3. Go on a family hike. Spring weather is perfect for hiking, so find a local park or woodland and put on those hiking boots! 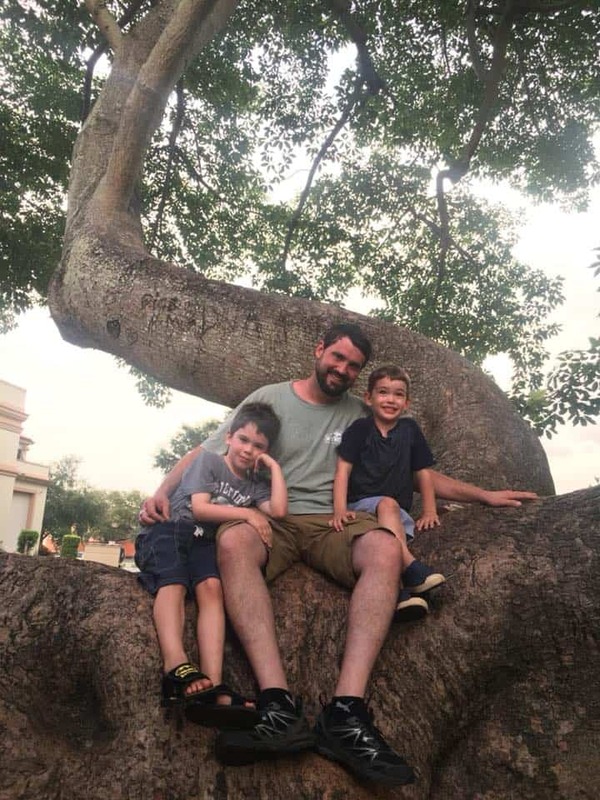 Here’s a unique way to enjoy it by taking a family sensory hike (via Mommy Evolution) focusing on smell, sight, sound, and touch. Or, try foraging for edible goodies (via Practical Self Reliance) with your little ones! 4. Plant a small garden. To go along with your new spring flowers, choose a couple of vegetables to plant in a small patch together. 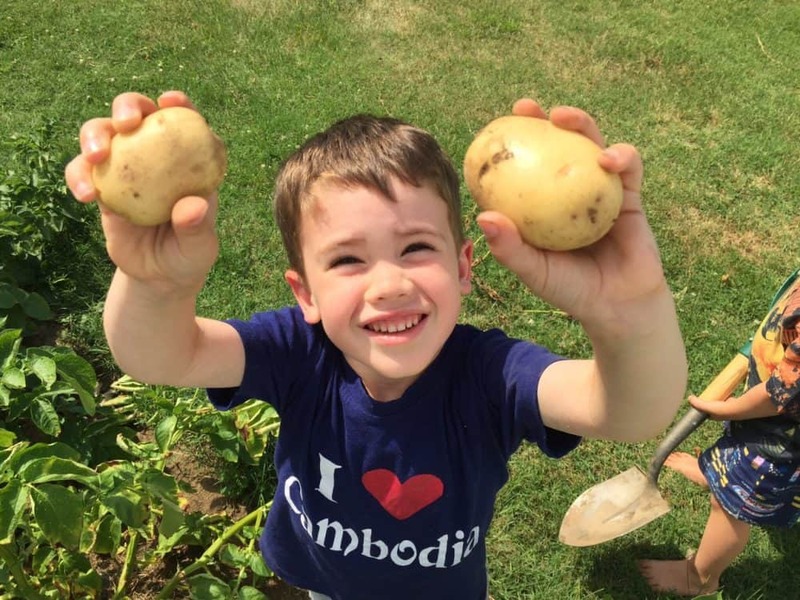 Here are the basics from Whole New Mom for getting started gardening with kids. Even if you don’t have a green thumb, it’s a great learning experience and a way to celebrate the earth together. 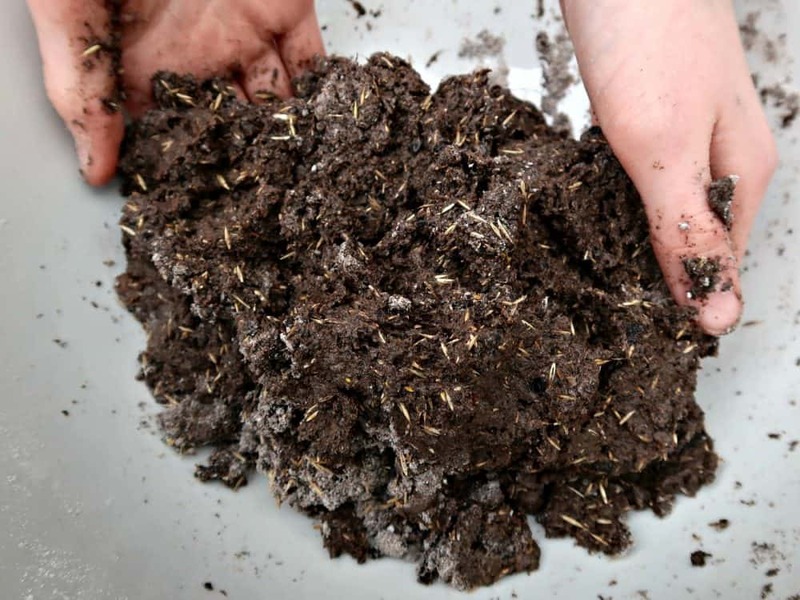 If you want to take gardening even further, try these tips from Practical Self Relance to teach your kids all about the wonderful world of herbs. An outdoor deck is the perfect spot, but a blanket on the ground will do just as well. If your neighborhood is too bright at night, travel to a rural location to enjoy this new tradition! There’s a whole world of outdoor games to explore, from the traditional hide-and-seek and red rover to lesser-known games like geocaching (full instructions from Explore More, Clean Less.) 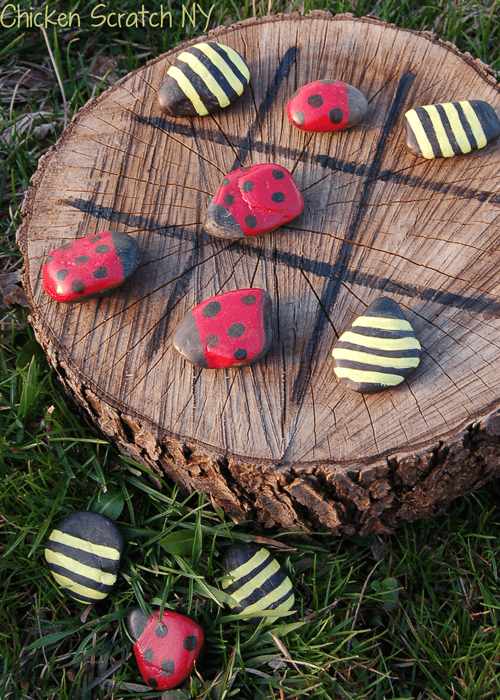 I’m planning to try this adorable ladybug and bumblebee tic-tac-toe game from Chicken Scratch NY! Spring is the perfect time of year to go on a camping trip, before it gets too hot! 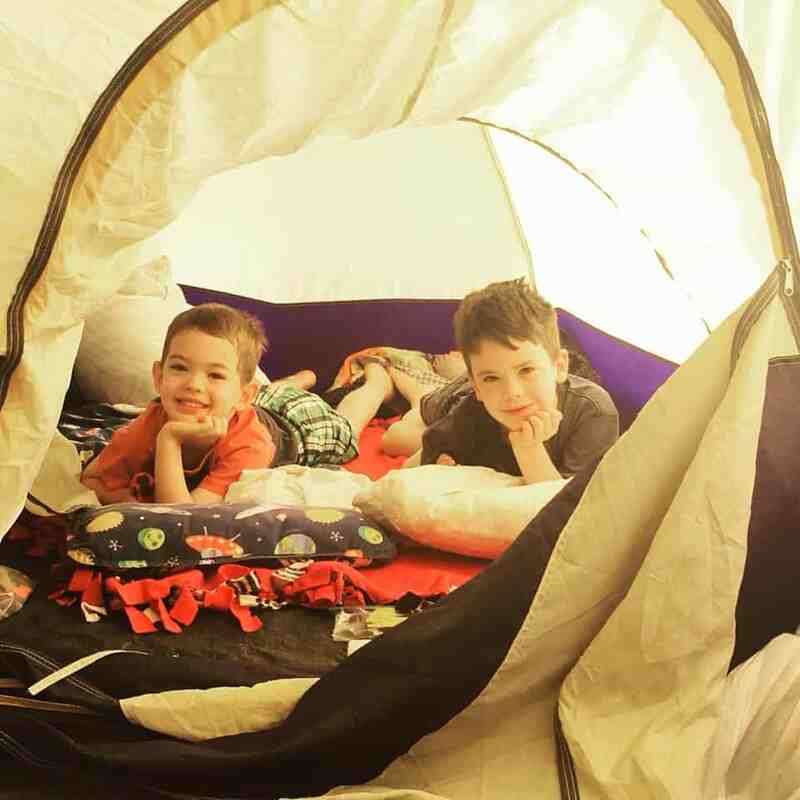 Your kids will never forget days spent entirely outdoors, roasting hot dogs and surviving tent life. 9. Create a spring-inspired craft. Spring is the perfect time to get the artistic juices flowing, and as Anne of Green Gables says, there’s plenty of scope for the imagination in the spring. 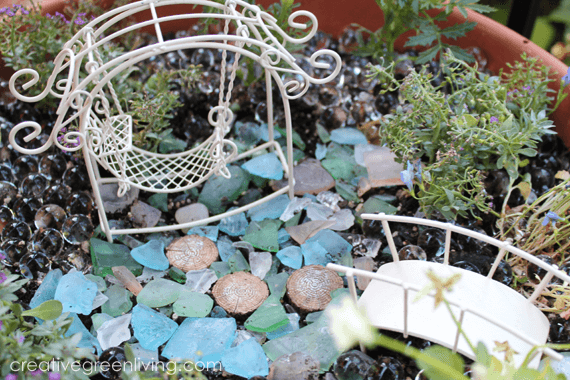 I’m loving this DIY fairy garden from Creative Green Living and water bottle wind spirals via Let’s Camp S’more. Or, simply go flower-picking with your child and press your favorite blooms inside some heavy books. Once dry, arrange on a piece of heavy cardstock and paint with modge podge to create your own spring flower collage masterpiece. 10. Play in the rain. Sometimes the buckets of springtime rain can be a bit frustrating, especially when it’s finally warm and you want nothing more than to be outside. So why not embrace it? Some of my best childhood memories were made playing in overflowing ditches! 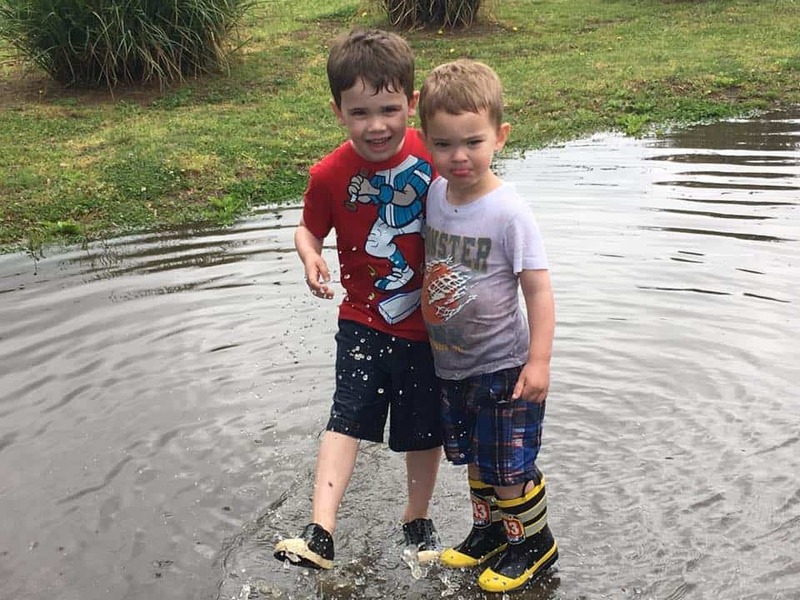 This photo of my boys playing in the puddles is one of my favorites. What better way to celebrate spring than to see new buds and flowers up close? Bonus points if you actually climb up there with your kids! 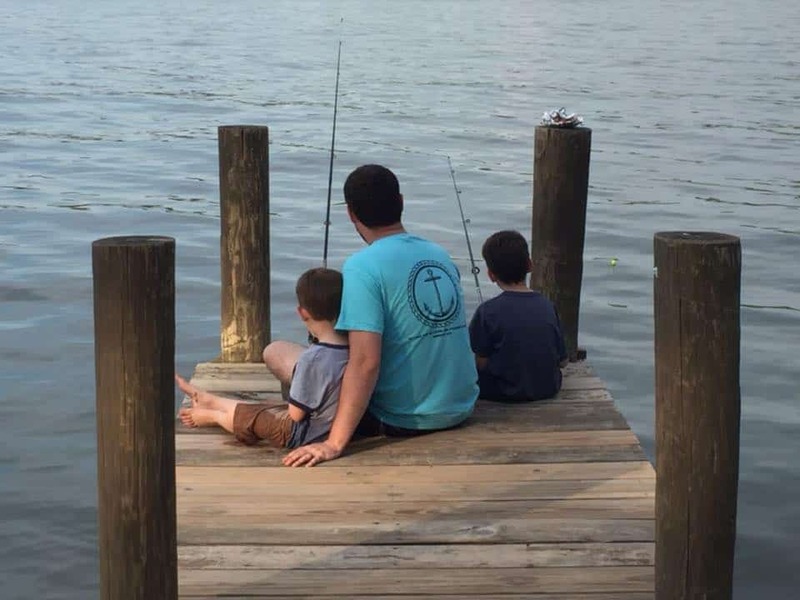 Fishing with mom or dad is the ultimate springtime memory. It also teaches kids the much-needed character quality of patience! 13. Read a new spring-themed book. Winnie the Pooh’s adventures in the Hundred Acre Wood are perfect for spring! We also love Little House on the Prairie by Laura Ingalls Wilder or the Tales of Peter Rabbit by Beatrix Potter. 14. Host a tea party. 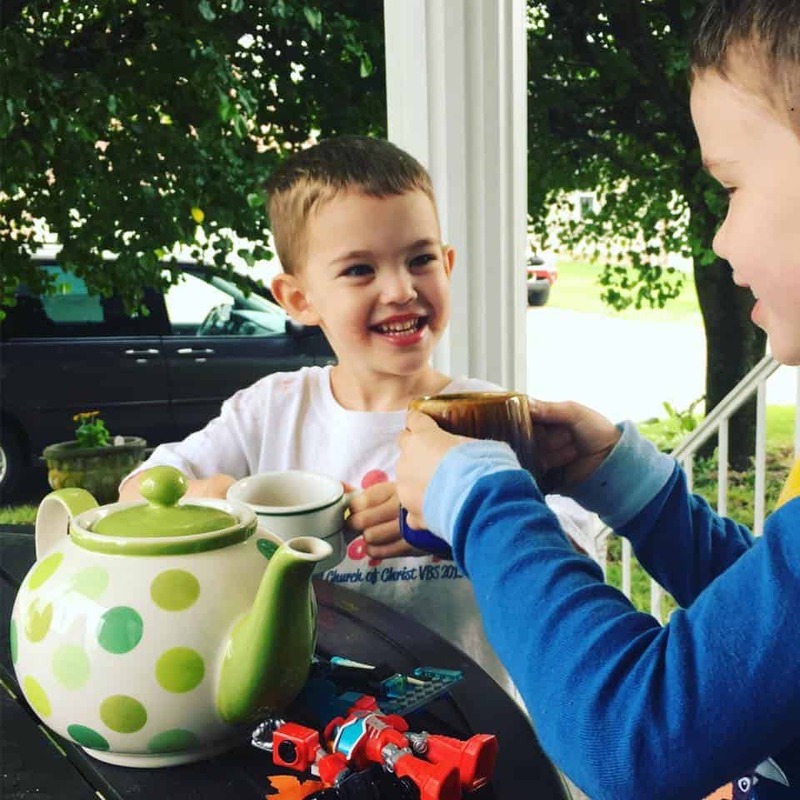 A fun way to get outside in the spring is with a cup of hot tea. Since there might still be a chill in the air, a hot cuppa is the perfect accompaniment. Invite some friends round and use fancy china, or just celebrate with your kids, their stuffed animals and some steaming mugs. 15. Freshen up kids’ bedrooms. Do a quick spring decluttering spree and donate old toys. Talk to your kids about the importance of giving to others, and celebrate by letting them pick out something new to decorate their room and make it special. If you’re not too squeamish, get a net and small breathable container and find some unique creatures. Perfect for little scientists! What’s your favorite springtime activity to do with your family? I’d love to hear your traditions!